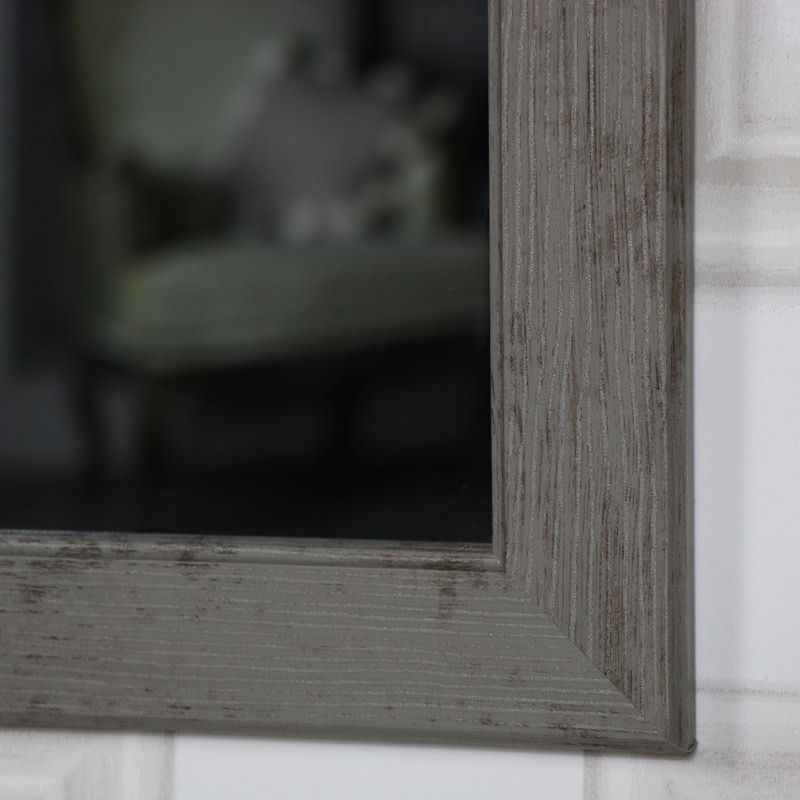 Add a rustic feel to your home with this large wall mirror with a rustic washed effect grey frame. 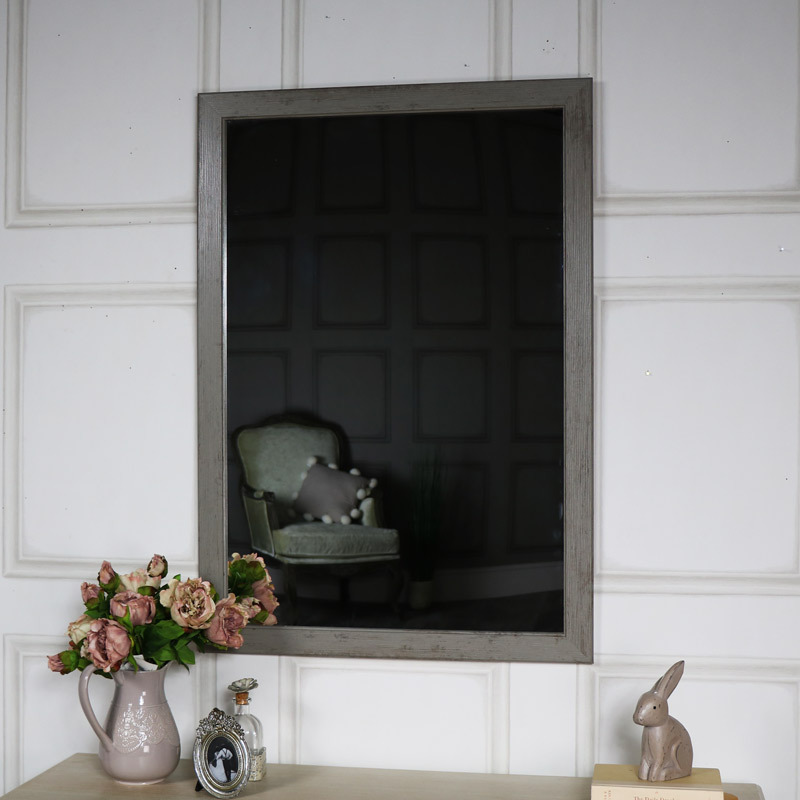 Made from wood in a rectangle shape, the frame itself is made from wood with a grey washed wood effect, the mirror surface measures 49cm x 89cm (Width x Depth). Easily wall mounted with hooks on the back and can be hung vertically or horizontally.